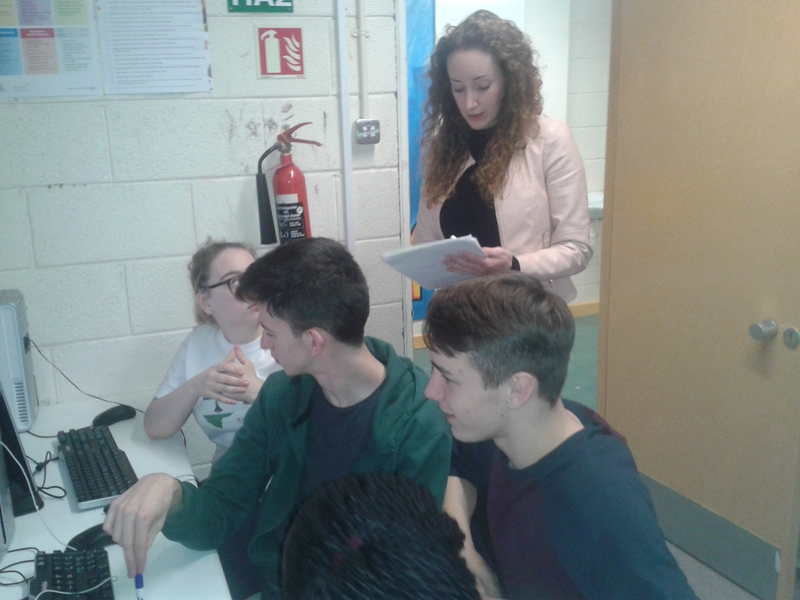 The 24 Hour Mapathon organised by Portmarnock Community School was a great success. 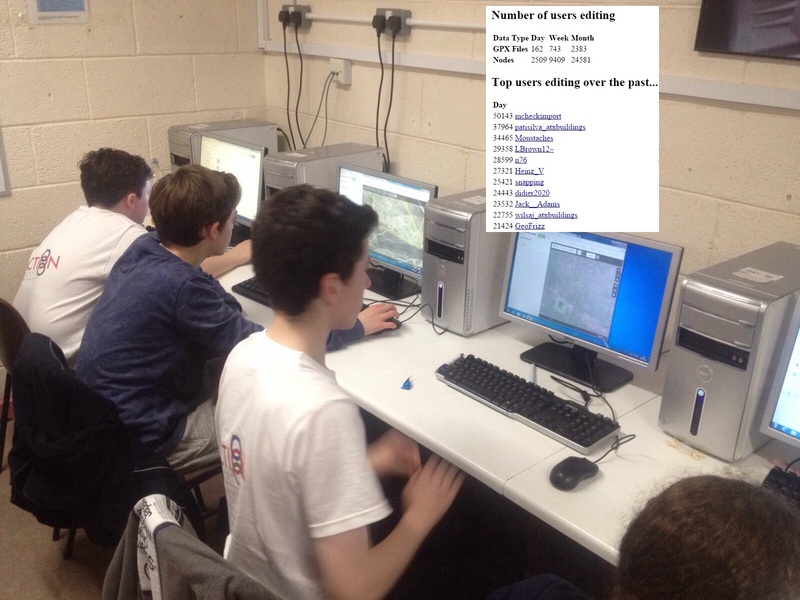 Not just for the fact that 40 people stayed up 24 hours to map, or that 106 kids gave part of their day to mapping. Not just for the support and well-wishers from all over saying how great the kids did, and that it was to raise money for an under-resourced school at Ha Hlalele. 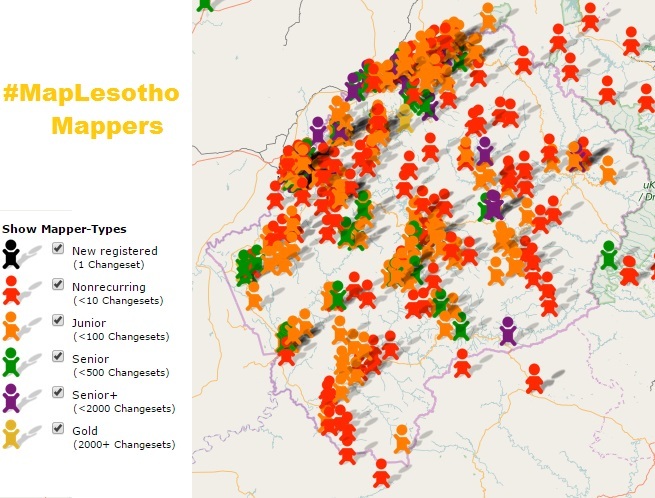 And here we saw Lesotho top the chart for the number of modified nodes, this reflecting that the validation exercise was guiding the validators to fix, repair and improve everything they encountered. 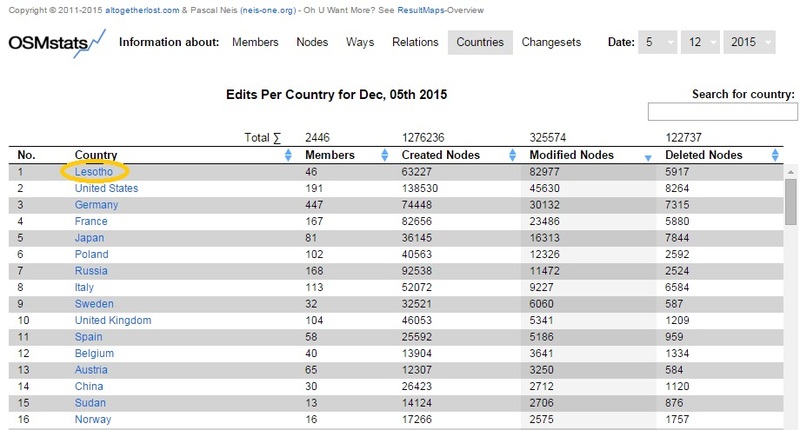 This reflects the success of the focus, and proves that validation is something that relatively less experienced mappers can do. 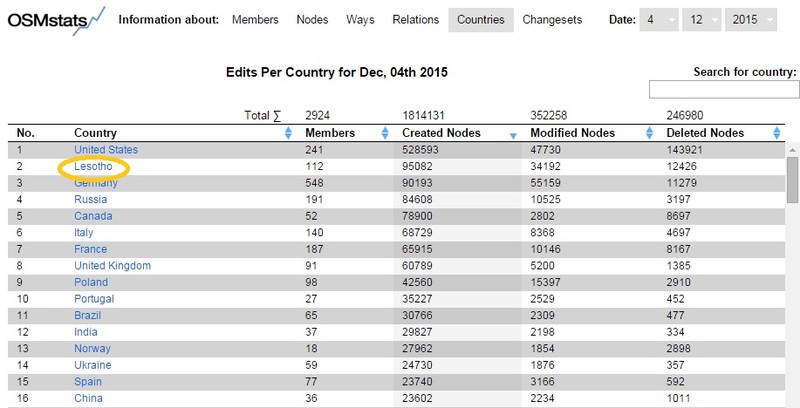 While there are too many individual student mappers to mention at the mapathon we should recognise the effort of Lee Brown aka LBrown12~ who managed to be the fourth biggest mapper in the world. A tweet by Soren really sums up the numeric effect of the 24 hour mapathon. 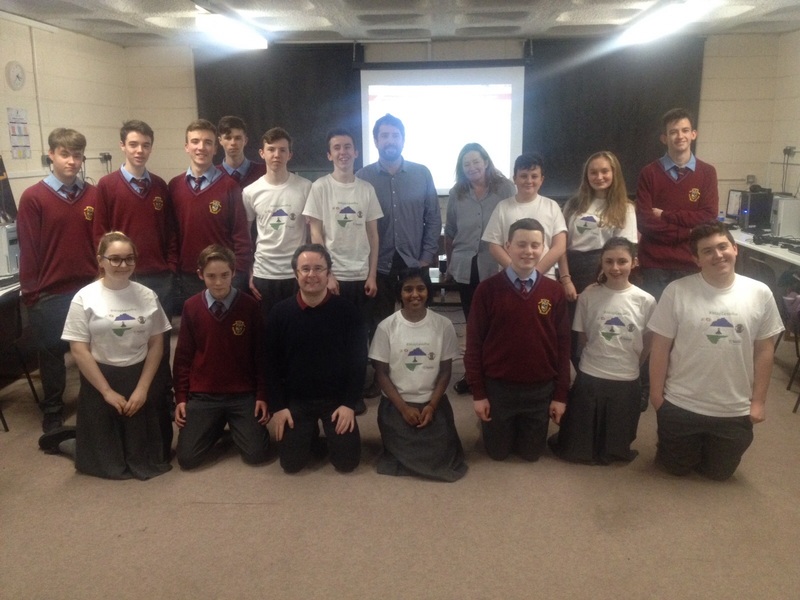 All credit for this success goes to the students of Portmarnock Community School, in particular Niall FitzGerald, Colette Cronin who organised everything and the other teachers who stayed awake to help and ensure that the three computer rooms were filled with mappers helping to #MapLesotho. Also a mention for Dermot McNally of OSMIRL who helped kids on an individual basis. Visits and words of encouragement from elected Councillors Daire Ní Laoi and Brian McDonagh were a great boost to the kids as we hit the evening.